Stonyfield began as a learning farm in Wilton, NH in 1979. The goal was to teach family-run farms how to survive while protecting the environment. Samuel Kaymen, the founder and chairman of the school, was one of the country’s first to emphasize organic and bio-dynamic agriculture. He was joined in 1982 by Gary Hirshberg. Hirshberg, at the time, was an entrepreneur, windmill maker, author and environmental activist. He is now the “CE-Yo” and president of Stonyfield. One November night in 1984 made the men realize they couldn’t possibly continue trying to run the farm, milk cows, make and deliver yogurt, finance the business and run the education center. On this particular night, lightning struck the farm and the power was knocked out. Samuel, Gary and Samuel’s wife Louise, were now forced to sit and milk 19 cows by hand after working on the farm and yogurt business all day. The cows were upset as well. They were not used to being milked by hand, in the dark, and began stomping their feet and kicking over buckets in protest. The trio realized then, that the cows must go. Stonyfield began buying their milk from local farmers at this time. They also replaced the old wood boiler with an oil fired one, modernizing their business. The bedrooms in the farmhouse were converted to offices to better support the yogurt business. The learning farm was put to rest. In 1985 the company added a new filling and capping machine, allowing individual sized yogurt cups to be produced. With the company expanding further, Hirshberg and Kaymen soon realized that the country side was not the easiest place to have tractor trailer trucks travel to. The trucks would slip and slide on snow, ice and mud for half the year. 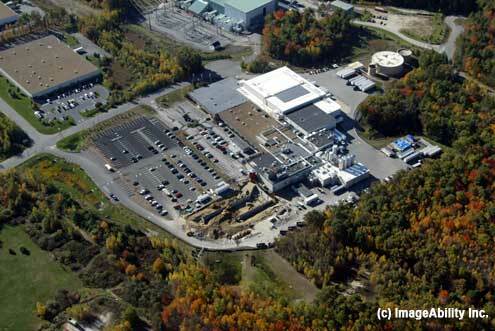 By the fall of 1988, Stonyfield relocated to a modern plant in Londonderry, New Hampshire. The new plant was better suited to handle the increasing size of the business. Stonyfield has remained in the Londonderry plant since, and it’s line of products has expanded greatly. They now offer ice cream, milk, frozen yogurt, soy yogurt, baby yogurt and Greek yogurt. From fruit-on-the-bottom single serving cups, to smooth and creamy 32 ounce tubs, smoothie drinks, and baby drinkables, Stonyfield continues to create all organic yogurt products. As a company always focused on giving back to the community and environment, it’s not a surprise that Stonyfield donates 10% of its profits to the efforts of protecting and restoring earth. This program, named Profits for the Planet, has donated over $10 million over the last 26 years. They award a grant to students who show their support in helping the environment. The latest recipient attended EARTH University in Costa Rica. There, she earned her bachelor’s in agriculture science and now gives technical support and advice to farmers. She also researches vegetable crops, as she works as a Crops Research Officer with the Belize Ministry of Agriculture and Fisheries. Other efforts that Profits for the Planet has contributed to include Climate Counts, in Manchester, NH, Kilowatt Ours, in Nashville, TN, PCC Farmland Trust out of Seattle, WA, and the Soil Association in the United Kingdom. 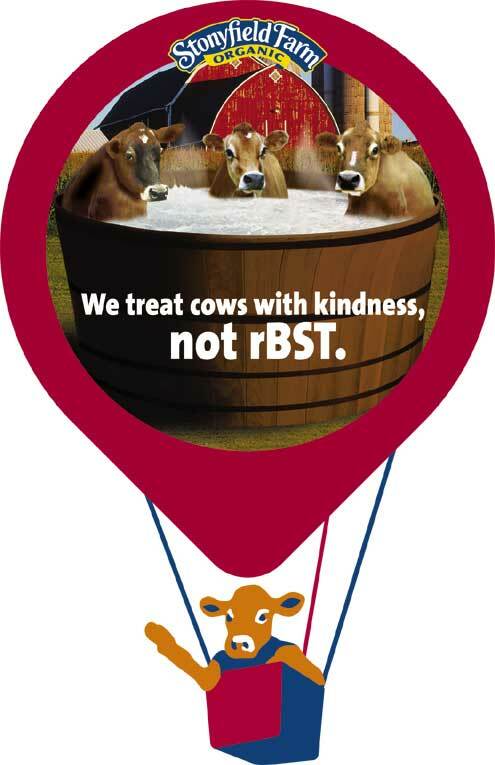 Further proving Stonyfield’s support in the community, it hires local businesses for advertising and promotions. 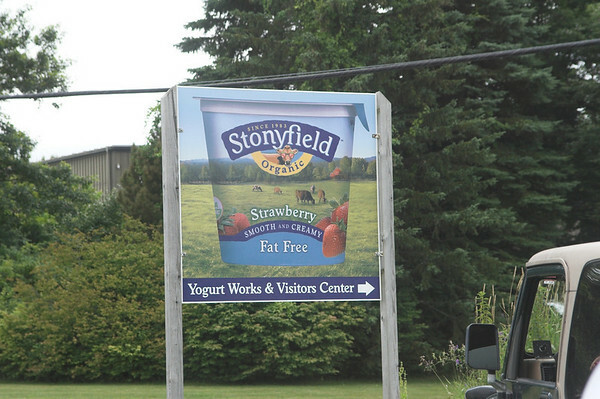 Londonderry Hometown Online News’ parent company, ImageAbility Inc, was asked to produce signs and imagery for Stonyfield. They also worked together to create the signs and images at the Mall of New Hampshire food court play place, in Manchester, NH. The Stonyfield factory is located on Burton Drive in Londonderry. On about 27 acres of land, sits a 169 thousand square foot building. Both the building and land are estimated at over 10 million dollars. The photo of the building was in a 2007 expansion of the plant in Londonderry. To learn more about the products and where you can buy them, or the company and its history visit the Stonyfield Website. You can also call them at (603) 437-4041.